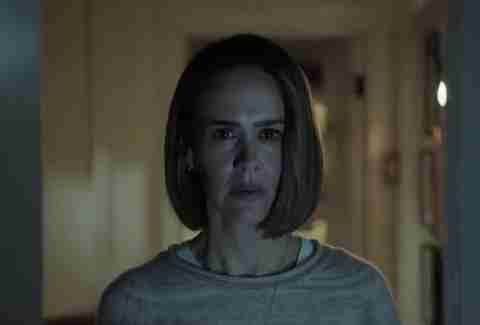 "I've always been afraid of holes," says Ally Mayfair-Richards in this week's episode of American Horror Story: Cult, eponymously titled "Holes." This comes after the shameful admission to her therapist that she dreamed of a series of holes forming on her neck, with centipedes crawling out of them -- the fear was so real that she dug her nails into her own skin in her sleep. It sounds like a bizarre declaration. What's so scary about holes? All season long, we've watched Ally come undone by her very specific fear triggers: clowns, bees, social situations. But while those feel tangible and earned, the hole thing might seem a bit weird to anyone who doesn't suffer from trypophobia, or the irrational fear of hole clusters. Though it's not a formally recognized phobia -- it doesn't appear in the American Psychiatric Association's Diagnostic and Statistical Manual, for instance -- trypophobia is fairly common, or so people claim on the internet. In 2013, a BuzzFeed article about the condition went viral, leading many to admit that they too are made uneasy by the tight gathering of holes, either occurring in nature or in body horror photo manipulations. But is trypophobia a real thing or merely internet hoopla derived from the hive-mind attitude this season of American Horror Story critiques? Let's dig into the phenomena. When did trypophobia become a thing? The term was first popularized online in 2005, when internet users combined the Greek word for "hole" -- trýpa -- with "phobia." Those who self-identified with the term created a Facebook support group where they shared stories about their triggers, and offered sentiments of unity, confessing they never knew others suffered the same sort of hole-induced anxiety. Trypophobia became something of an internet sensation in the years following. There are now plenty of options to share in a communal fear of holes: subReddits, YouTube videos, message boards, and a never-ending spate of BuzzFeed articles and quizzes. Plenty of things. Naturally occurring holes -- or shapes that mimic holes -- seem to be the origin of the phobia: honeycombs, coral, acorn holes created by woodpeckers, sandstone structures, garlic, lotus pods, strawberries, condensation, bubbles. Photo manipulations that show holes in the skin -- often with pods or other objects inside of the holes -- have popped up as a result of the phenomenon, often to "test" people's triggers. Those who suffer from trypophobia are said to experience goosebumps, a feeling of repulsion, skin-crawling sensations, eyestrain, panic attacks, and nausea when they see these triggering images, either in photographs or daily life. Sarah Paulson, for one. 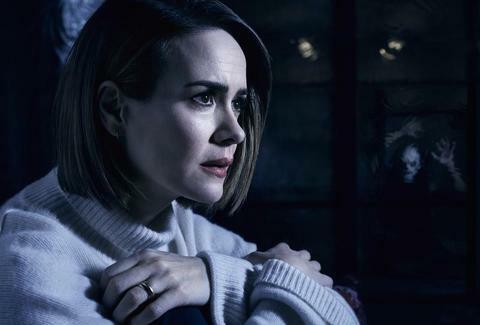 The actress who portrays Ally Mayfair-Richards confessed on a recent episode of The Ellen Show that American Horror Story creator Ryan Murphy mined Paulson's own phobias for the season. In addition to clowns and bees, she's also terrified of holes. 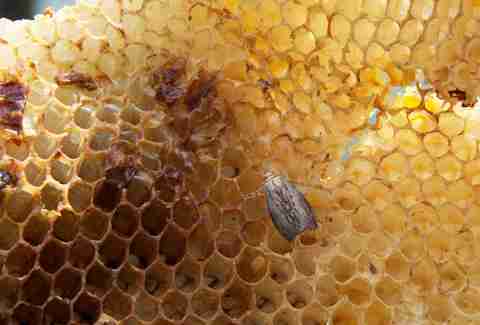 "I really actually have a real problem looking at it," Paulson said when Ellen brought up a large photo of a beehive. She also admitted that she can't look at photos of coral reefs or natural sponges. Model and Kardashian sister Kendall Jenner is another on-the-record trypophobic. "I can't even look at little holes — it gives me the worst anxiety. Who knows what's in there???" Jenner wrote on her personal blog, adding that pancakes, honeycombs, and lotus heads are her triggers. According to a 2013 study in Psychological Science, roughly 16 percent of the population suffers from trypophobia. Geoff Cole, one of the psychologists studying the condition, calls it "the most common phobia you've never heard of." There are different schools of thought. Like we said, the condition doesn't have a formal diagnosis. For a while, scientists believed that trypophobia was a learned behavior, inspired by those initial online posts. But additional studies have taken the matter more seriously, testing the response to hole clusters in children and other unassuming participants to see if the theory holds up. The aforementioned 2013 study from Psychological Science -- one of the first to examine trypophobia -- suggests that the phobia may have roots in other biological fears, and that people affected subconsciously associate holes with a fear of dangerous creatures like the blue-ringed octopus, one of the most poisonous animals in the world. But another study from 2017 says otherwise. For that experiment, researchers tested preschoolers for trypophobia and the fear of venomous animals separately, and found no correlation between the two. The study concluded that, "the discomfort felt toward trypophobic images might be an instinctive response to their visual characteristics rather than the result of a learned but nonconscious association with venomous animals." 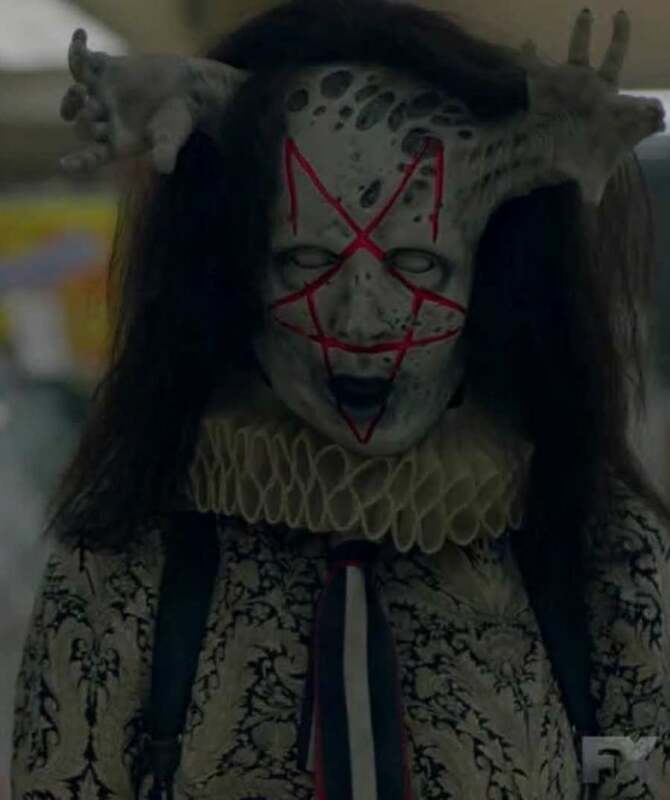 How does trypophobia play into American Horror Story: Cult? So far, trypophobia is one of the many fears that sends Ally over the edge. 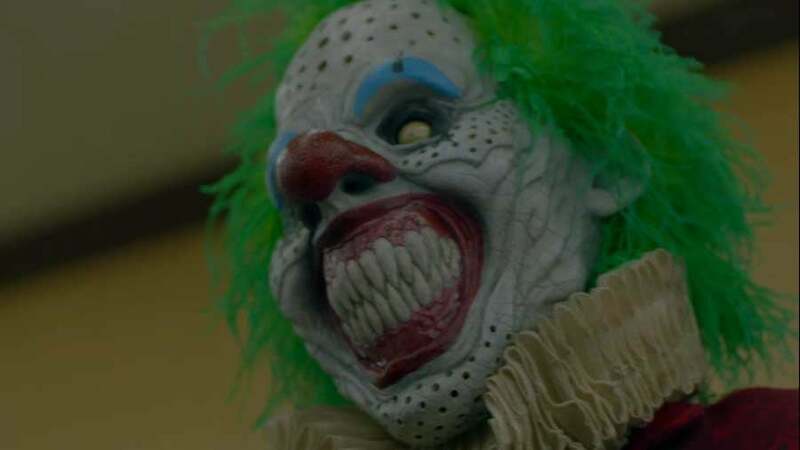 The clown cult -- which, as we just learned, includes Ally's wife Ivy and possibly even her therapist -- is using this fear to their advantage: two of the clown masks have trypophobic-esque holes in the face. It remains to be seen if trypophobia will become a bigger deal, or if it's merely a drop in the bucket of the societal and psychological fears that are the driving force of this season. Let's hope that Ally is able to conquer them, instead of falling deeper and deeper down the hole.